The internet has transformed the very nature of marketing. Armed with smart devices, people are increasingly hanging out in cyberspace. We go there to interact with friends and strangers, or to watch videos, listen to music, read about something that interests us, or to shop for things we need or merely desire. 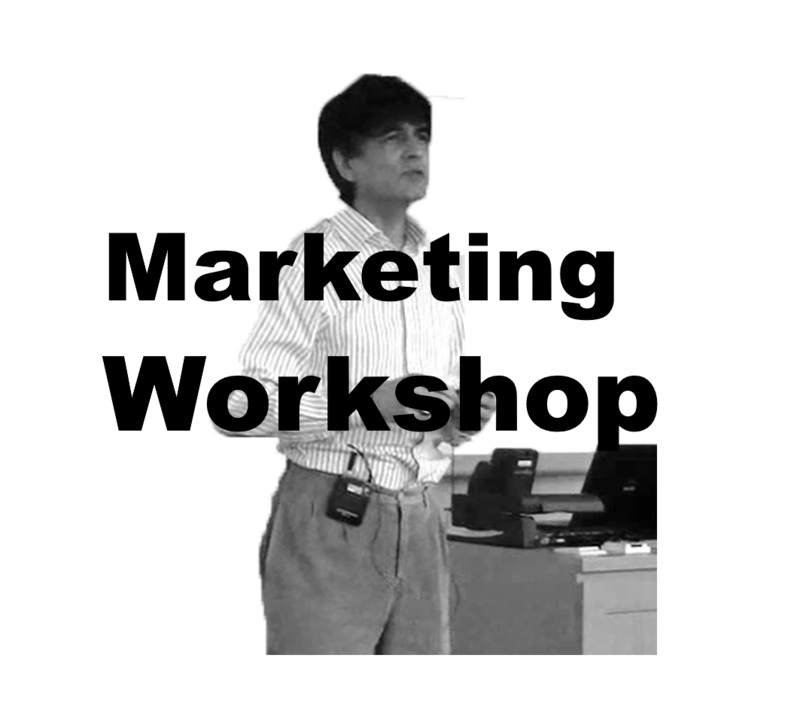 This fluid, de-centralized and multidirectional medium has empowered us to engage in more impactful and diverse ways with people as well as with brands, and other objects of interests. Marketers must adapt. As they embrace digital marketing, they need a multi-pronged strategy to attract, convert and retain prospects/customers. On the web, they need to draw customers by serving useful, relevant and interesting content. This contrasts with conventional media which involves different forms of "buying" attention to push products to customers. 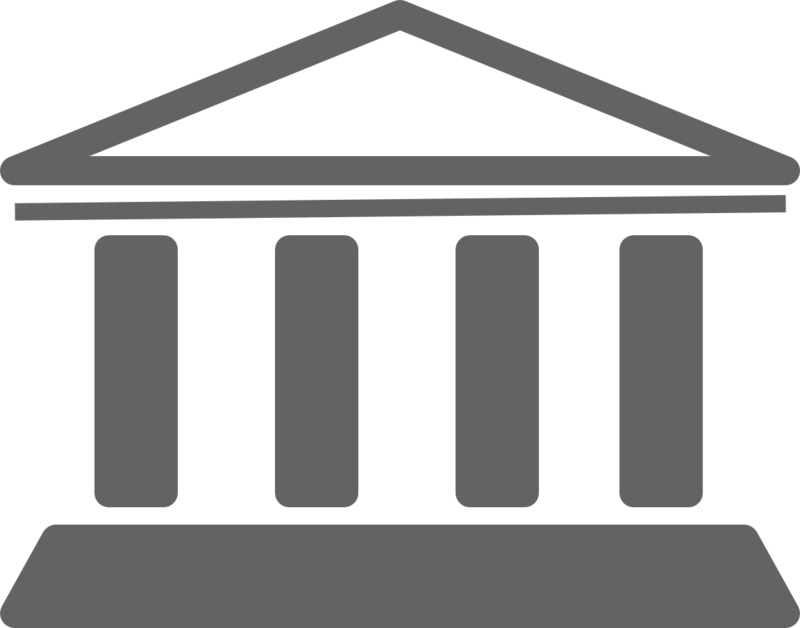 Building online assets pertains to the common platforms for creating, maintaining and spreading content online, including websites, social networks, blogs, internet forums and apps. It discusses the importance of content and personalization. The advertising on the net section includes a discussion on the challenges facing low involvement categories, and the challenge of reaching out to the masses. The advertising formats covered include web banner, pop-up and pop-under, floater, video and search advertising. 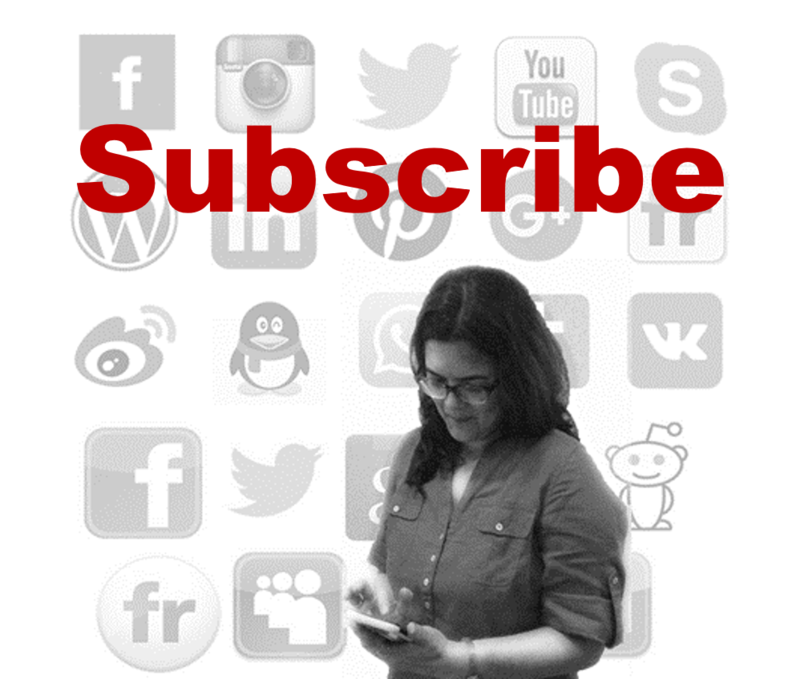 The range of mobile advertising formats is also covered. Search section provides an overview of the search process and search engine optimization (SEO). Social Media Advertising covers the latest trends and formats in advertising in social media, with special attention to the Facebook network, and to YouTube brand channels. 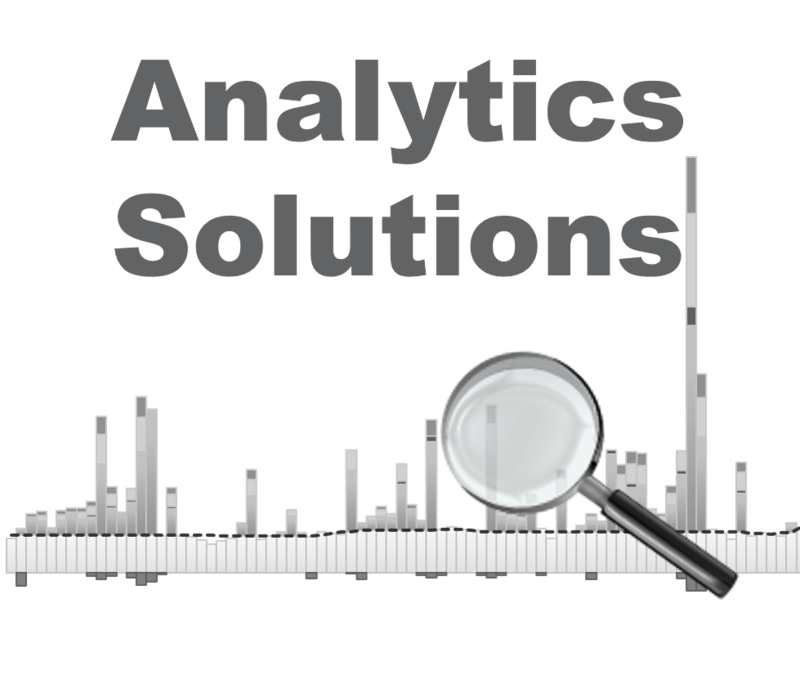 The final section, web analytics pertains to web traffic data, web intelligence, and controlled website tests. In the context of digital marketing it is important also to understand the role that user-generated content (UGC) can play in our understanding of our brands and our market. Social Listening in Chapter 1, New Media. 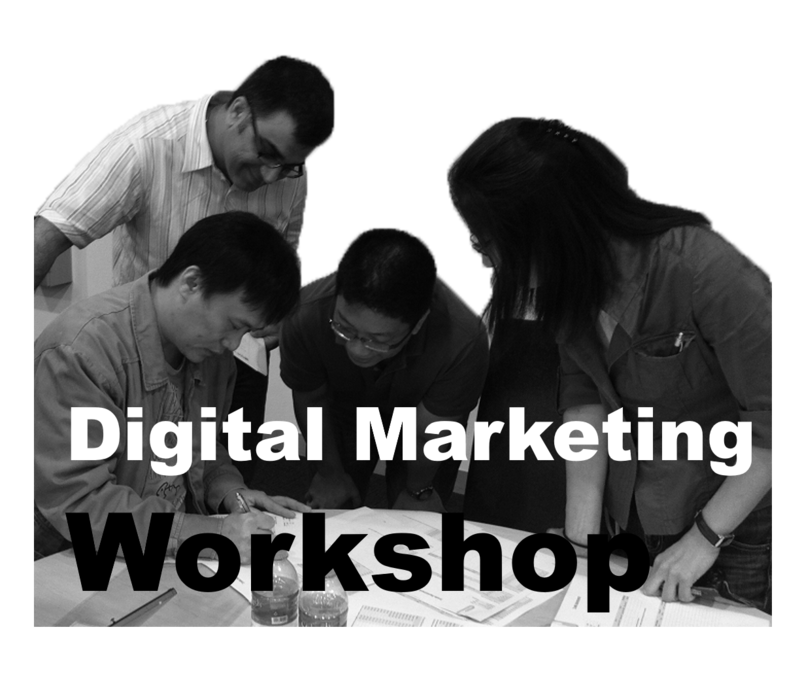 A fundamental shift in mindsets must occur for businesses to succeed in digital marketing. 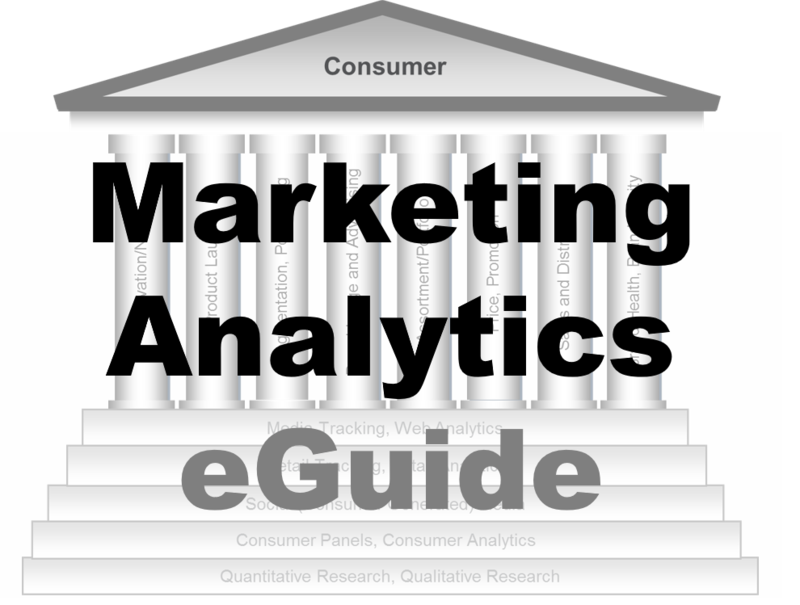 On the web, marketers need a pull strategy to attract customers by serving useful, relevant and interesting information. This contrasts with conventional media which involves different forms of “buying” attention to push products to customers. A pull strategy is even more important for products that consumers do not usually seek information about on the net. Take shampoo for instance — consumers do not usually go to the net to decide what shampoo to buy, yet they do discuss their hair issues there. According to NM Incite’s white paper (December 2012) there were 2.3 million messages on hair care on social media in the US, for the first 6 months of 2012, and only 4% of these pertained to specific hair care brands. Top google searches in hair care, depending on country, usually cover topics such as hairstyles, hair fall, haircuts, hair colour, shampoo, long and short hair and hair salon. 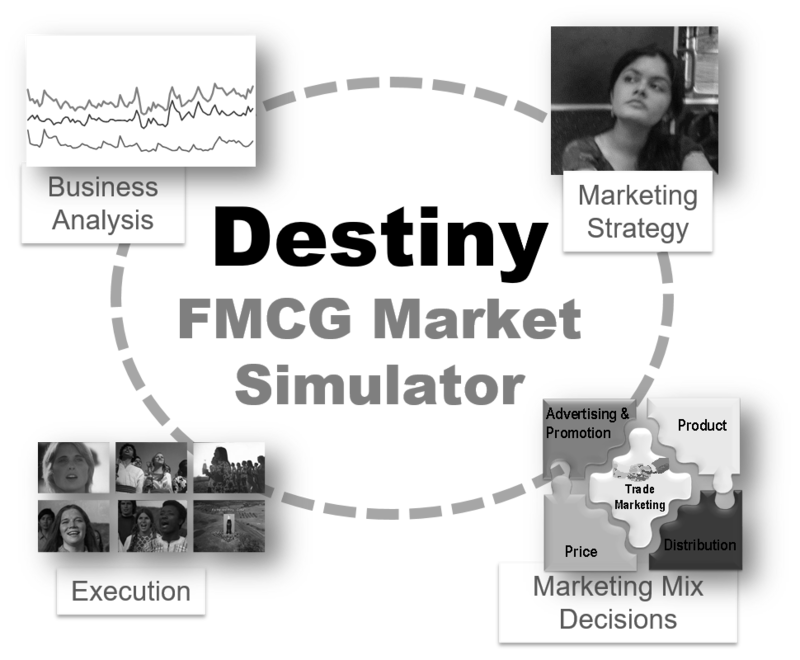 When initially launched in June 2006, Hindustan Unilever’s Sunsilkgangofgirls.com exemplified the pull strategy. Proclaimed as India’s first “online all-girl community” the site provided social networking space and consumer generated content features such as blogs and communities (gangs). Content-wise it focussed on hair, beauty and fashion, and prominently featured hair care experts. Promoted through a media blitz, the site attracted a high level of interest from its target group, garnered a large base of registered users and “gangs”, reached almost 200 million hits and was attracting an average of 12–13 million page views per month. 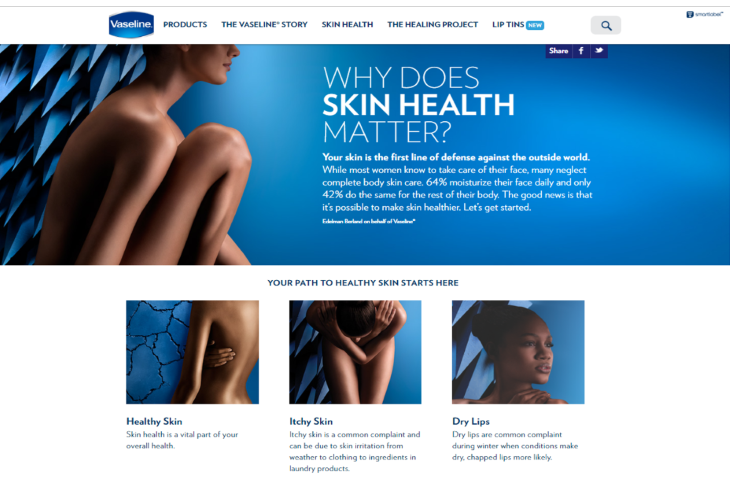 The website evolved over time and is now more brand-centric (see Exhibit) than it used to be. Linked with Sunsilk’s Facebook brand page and Twitter, the website now places greater emphasis on networking through these platforms as opposed to developing their own — i.e., you can no longer form a “gang” on the site. Well aligned with its identity, it continues to serve the information that target consumers are seeking, offering tips from hair experts on hair care, hair trends and fashion, in addition to information about the Sunsilk brand. 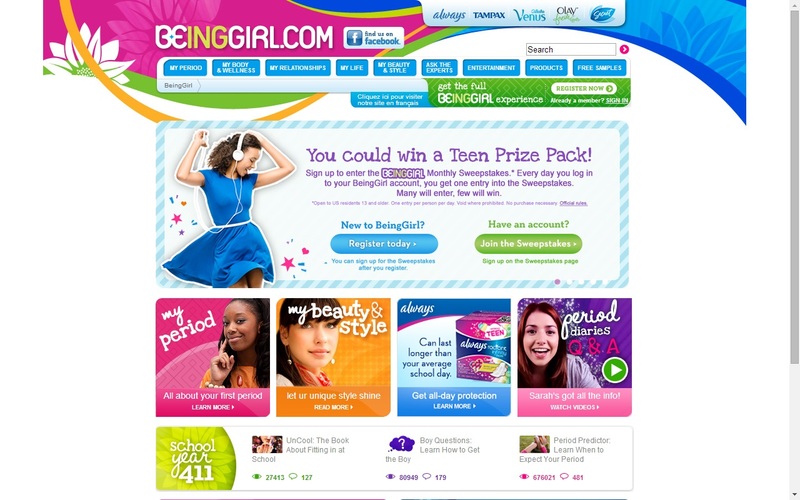 Exhibit P&G’s BeingGirl.com offered advice on puberty and periods. Some criticism arose due to accusations of “exploiting” teenage girls, which could have been avoided if the company was more selective on their choice of content. P&G’s current feminine hygiene websites such as Always.com, remain very informative and helpful. No longer purely teen-centric, the sites use personalization to filter content according to the user’s age profile. Pampers.com, which offers baby and parenting advice, is yet another example of a site that attracts consumers by providing the information that they are seeking. The site is also a good example of the use of personalization in crafting a website. When a mother visits www.pampers.com, the content on the website is filtered and displayed according to her baby’s age group. Exhibit Sugarpova was launched with a budget of US$500,000, using primarily new media. The internet is a great leveller. A new or unheard of brand, could gain awareness, and build relationships with consumers without having to spend the kind of money that is required in conventional advertising. Sugarpova is one such example. At an initial investment of only US$500,000, Maria Sharapova made effective use of the new media to market Sugarpova, a new candy line. On 20 August 2012, armed with her star power, and 10.5 million Facebook fans and 400,000 followers on Twitter, she launched the premium candies without mainstream advertising. It was candy veteran Jeff Rubin who conceived of the product concept and coined the name Sugarpova. The candies are available in a variety of flavours which come with labels such as “Flirty”, “Smitten Sour”, “Sassy”, and “Splashy”. They may be bought online on Sugarpova’s website (click on Exhibit to visit site) or at select outlets in a number of countries across the globe. About a year after the launch of Sugarpova candy, Maria Sharapova introduced a range of clothing and accessories under the same label. Later in 2014 she launched “Speedy”, a yoghurt gummy that comes in the shape of the iconic Porsche 911. And, more recently, in 2016, partnering Baron Chocolatier, she introduced the “chocolate collection”, premium chocolate bars launched in four flavours. 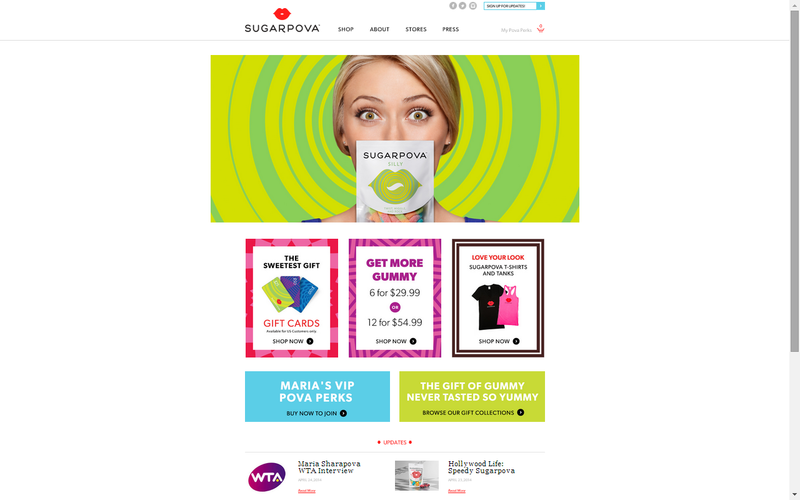 Sugarpova carved out a niche with global sales of US $6 million in 2013. Since then, according to the company’s sources, year-on-year sales continued to grow double-digit, driven primarily through digital marketing. 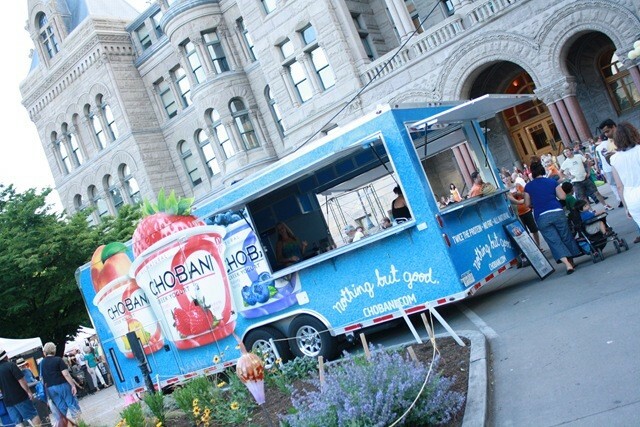 Exhibit Chobani features extensively in blogs such as sweetdealin and mealsandmovesblog where this CHOmobile visual has been sourced from. Unlike Maria Sugarpova, Hamdi Ulukaya, the founder of Chobani, did not have a large fan base on social media, when he first ventured into the yogurt business. Hailing from a dairy-farming family from Turkey, he came to the U.S. in 1994 to study. Eleven years later, his decision to purchase a defunct yogurt factory from Kraft Foods, was based primarily on his conviction that consumers would prefer the thick, strained yogurt which he grew up with in Turkey, as opposed to the sugary, watery and “artificial” varieties that were available in the market in 2005. Starting with just 5 employees, and lacking a big marketing budget, Ulukaya made use of the internet and social media to reach out to a large base of bloggers, and connect with consumers on Facebook and Twitter. The online buzz that these initiatives generated was instrumental to the success of the brand during its infancy. Sales accelerated in 2010 spurred by the CHOmobile (Exhibit 13.4), a sampling truck, which handed out free cups of Chobani yogurt at festive and family-friendly events all over the U.S.
Chobani grew into a $1 billion empire within five years of launch, leading the U.S. yogurt by 2011, and Greek yogurt’s market share in the U.S. surged from less than 1% in 2007 to more than 50% in 2013. Since 2013 Chobani’s yogurt sales have tapered and started to decline, and the company has expanded its product range to include Chobani Mezé yogurt-based dips, yogurt drinks, and foods for toddlers containing ingredients such as Omega-3 DHA and live and active cultures, in addition to yogurt and fruits. To a great extent Chobani’s success may be attributed to its highly effective social media strategy. According to Ulukaya, “We knew we had a great tasting, good-for-you product, now we just needed to get people to try it. Sampling and word-of-mouth was huge for us, especially at the start, as we had no money for traditional marketing or advertising.” And so, from the onset, consumer-driven social media marketing was the preferred approach. Chobani’s website is littered with stimulating recipes and photos that evoke excitement and interest. As mentioned earlier, the company reached out extensively to bloggers, and it is heavily engaged and active in Facebook, Twitter, YouTube, Pinterest and Instagram, where it strive to create an atmosphere that is “warm and quirky, engaging and inviting”. Chobani also uses the foursquare search-and-discovery mobile app to promote tours and events, and to help consumers locate CHOmobiles. As of October 2016, Chobani has over 1.3M fans on Facebook, which takes it well ahead of other yogurt brands. Their YouTube channel has 16 million views since its inception in 2009. And according to company sources, they garnered over 10 billion earned media impressions, during 2013. A good social listener, Chobani gained valuable insights that shaped the development of new flavours and new products. One of their bestselling flavours, black cherry, came about from a consumer request. Company sources claim they respond to every consumer inquiry, and as can be seen from their Facebook page, they are well engaged. Always responsive to consumers, Chobani exhibits exemplary social accountability, and effectively manages work-of-mouth. In 2012, when there was a voluntary recall for some of their products due to mould contamination, the company responded by sending personalized letters from CEO Ulukaya. According to Chief Marketing Officer Peter McGuinness, “He wanted to write a personal letter to each of the 150,000 people that had an issue with our product because he takes it very personally and very seriously, and he wanted to thank them for ... sticking with us and standing by us.” Taking this a step further, Chobani sent trucks across the country to celebrate with their consumers by throwing yogurt parties. Giving away free products was their way of rewarding fans for their loyalty. Chobani’s brand identity centres on goodness, nature and health, and this is reflected in their taglines “Nothing but Good”, “simple, pure food.” “You Can Only Be Great if You’re Full of Goodness” and “No bad stuff”. The brand’s image and identity is interwoven with consistency across the social and conventional media. One of the interesting facets of Chobani’s media strategy, is the emphasis on the values, lifestyles and causes. Their communication is not always product or brand centric, and, according to company sources, web metrics reveal that consumer engagement ranked highest for postings about their “brand’s values and personality but not directly about yogurt”. This may partly be the outcome of the company’s humble beginnings. The Hamdi Ulukaya story inspires people, and it has helped associate the Chobani brand with a dose of aspiration and the spirit of achievement – “Our story proves that the American dream is alive and well”. The company’s willingness to take a stance on social matters is reflected in the “To Love This Life is to Live Naturally” campaign which showcases LGBT acceptance, as also to their opposition to Russia’s anti-LGBT law, and their defence of LGBT athletes in the Sochi Olympics. It supports social causes through its participation in community activities, and by donating a proportion of its post-tax profits to charity. Chobani is no longer a small company and their marketing budget has grown substantially as can be gauged from their sponsorship of successive Olympics and Paralympic Games. These sponsorships where athletes have free access to an array of Chobani product, are among some of the company’s greatest marketing feats. The company’s presence and actions at these events has spawned a wealth of stories that have helped to feed the interest and excitement for Chobani in social media.